Our trek through the Heisei Series continues! After watching experimental weirdness and convoluted time-travel, Nate and Brian cover a Godzilla film that’s a bit more “normal”—for this franchise, anyway. It’s the most successful film in the Heisei Series, and we see more positives than negatives in this 1990s update of the classics. 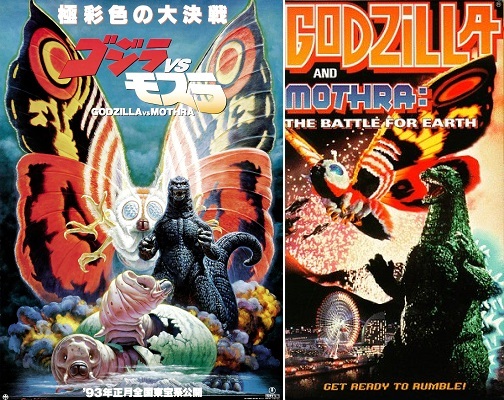 The movie features Akira Takarada, the return of Mothra, a weaponized Ferris wheel, and scenes ripping off Indiana Jones (the last one drives Nate crazy). We also compare Battra to Mirror Universe Spock. Our related topics are contemporary environmentalism and the Lost Decade. This entry was posted in Podcast and tagged 1992, 4k, 4k video, Battora, Battra, Brian Scherschel, environmentalism, films, Foster Park, Godzilla, Godzilla and Mothra: The Battle for Earth, Godzilla vs. Mothra (1992), Gojira, history, Indiana Jones, International Affairs, Japan, kaiju, Kaijuvision, Kaijuvision Radio, Kazuki Omori, Lost Decade, Miki Seagusa, Mosura, Mothra, movies, Nathan Marchand, Takao Okawara by Kaijuvision Radio. Bookmark the permalink.